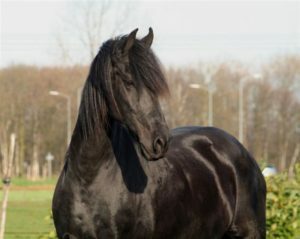 The Northwest Friesian Horse Club (NWFHC) is proudly recognized as a Regional Chapter affiliated with the Friesian Horse Association of North America, FHANA , which is the official North American representative of the Dutch Registry, the Friesch Paarden-Stamboek FPS. This club is for people who love the Friesian horse, want to learn more about the breed, have fun and meet fellow Friesian horse owners. Owning a horse is not a requirement. Please visit the membership page for more information about joining the club. NWFHC Keuring - September 23rd or 25th TBD.